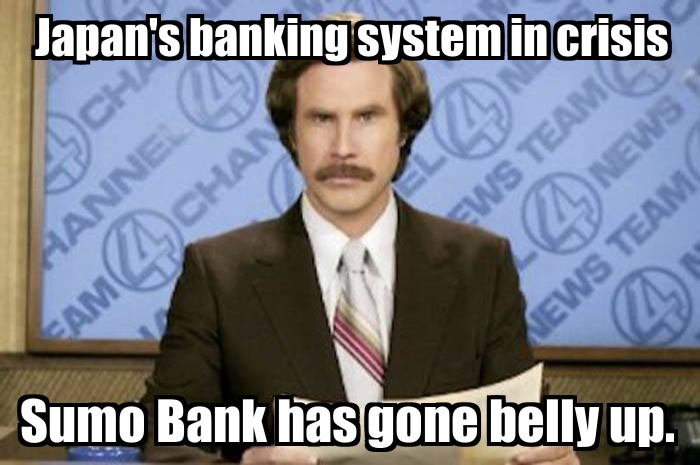 American banks are not doing so good in this economic crisis but Japanese banks are doing worse! 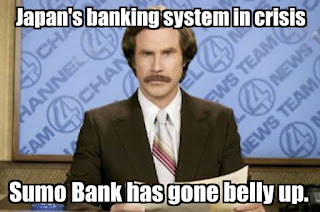 The (10)Origami bank has folded, the (9)Sumo bank has gone belly up,and the (8)Anime Bank is completely overdrawn. Shares in the (7)Kamikaze bank took a nose dive before they crashed and burned and shares in (6)Karaoke bank could be had for a song. (5)The Godzilla bank was citing monster write downs and (4)Kimono Bank was losing money no matter how the accountants dressed it up. 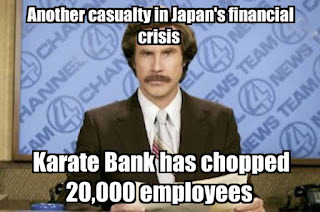 The (3)Bonsai Bank had to trim branches to save money and at the (2)Karate Bank several employees got chopped. 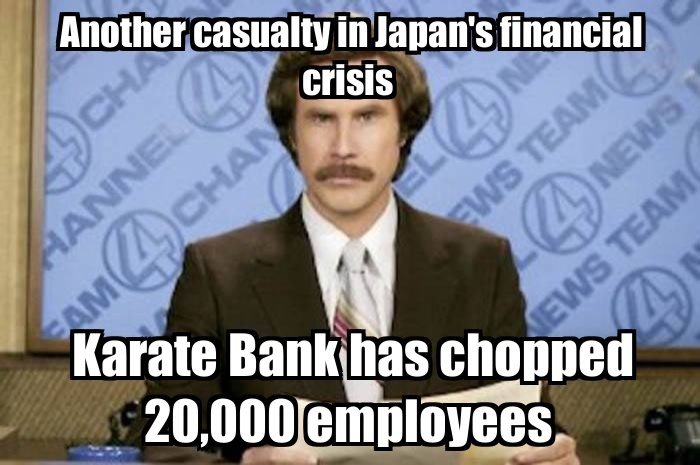 And lastly the media think something fishy is going on at (1)Sushi Bank where the employees are expected to get a raw deal.